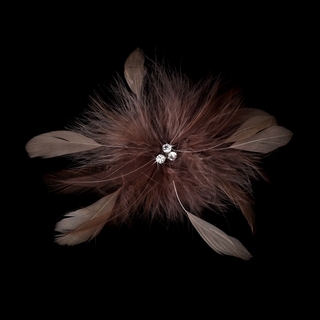 This cafe brown feather fascinator clip is perfect for brides, bridesmaids, flower girls, and prom/homecoming dances! It will add a touch of softness and sparkle to any hairstyle with its triple crystal center accent. Jewelry shown for display purposes only.